Thomas A. Stewart is Editor-in-Chief of Harvard Business Review and a bestselling author and progenitor of the intellectual approach to managing products, processes and people in order to profit. 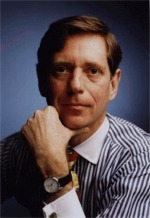 Former member of the Board of Editors of Fortune Magazine and Editorial Director for Business 2.0, his column, "The Leading Edge" in Fortune was considered the most important forum about intellectual capital and knowledge management and led to his groundbreaking book, Intellectual Capital: The New Wealth of Organizations. In turn, Intellectual Capital was named one of the most important business books of the year by the Financial Times, and has been translated into seventeen languages. A fellow of the World Economic Forum, Stewart received the International Knowledge Management Awareness Award, presented at the International Knowledge Management Conference in London in 1996 In recognition of his expertise. In his book, The Wealth of Knowledge: Intellectual Capital and the Twenty-first Century Organization,Stewart reveals how today's companies are applying the concept of intellectual capital into day-to-day operations to dramatically increase their success in the marketplace. "Knowledge management is not a strategy," Tom says. "E-business is, god knows, not a strategy. What I'm offering here is a practical way to sort through the possibilities that the Information Age presents, so that companies can develop their intellectual capital and, what's more, make money from it." Stewart has written on a wide range of management subjects--from productivity to stock options, from the management of churches to the failings of human resources departments. In addition to his extensive writing about intellectual capital, he has explored emerging electronic marketplaces, the influence of networks on business, and the economic and management implications of the Information Age in cover stories such as "Managing in a Wired World" and "Managing in an Era of Change." A knowledge worker is someone who gets to decide what he or she does each morning.